← Beating Snake Hearts, Creepy Crawlies and Frog Guts: SE Asia’s Gory Gastronomy. 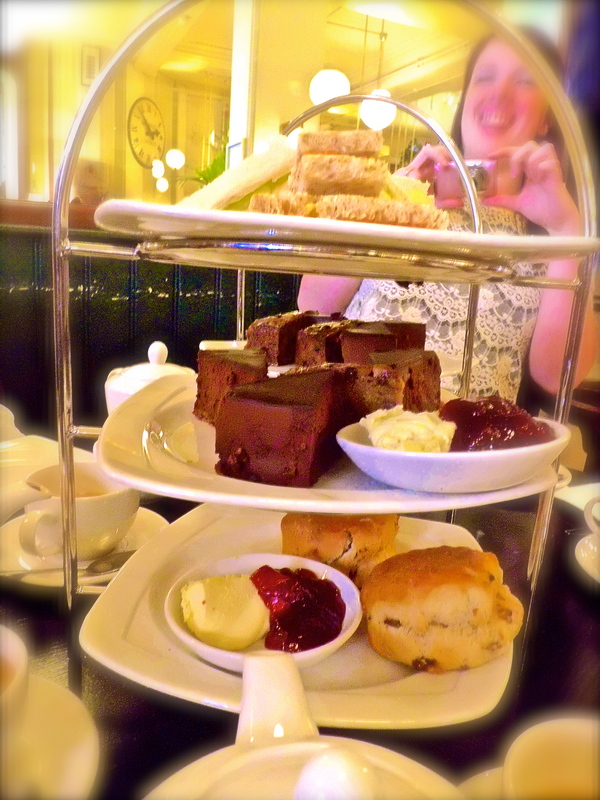 Afternoon Tea – the dining experience that evokes quintessential Britishness. 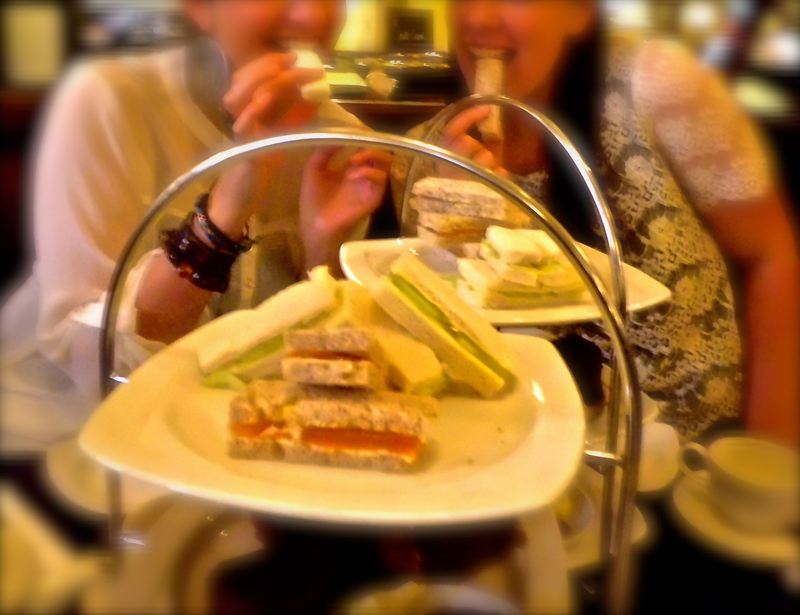 Finger sandwiches, scones and cakes washed down with a pot of well brewed tea leaves. We can’t imagine the Queen of England spending an Afternoon doing anything but. It would be a misfortune for a backpacker to miss out on such a splendid engagement. 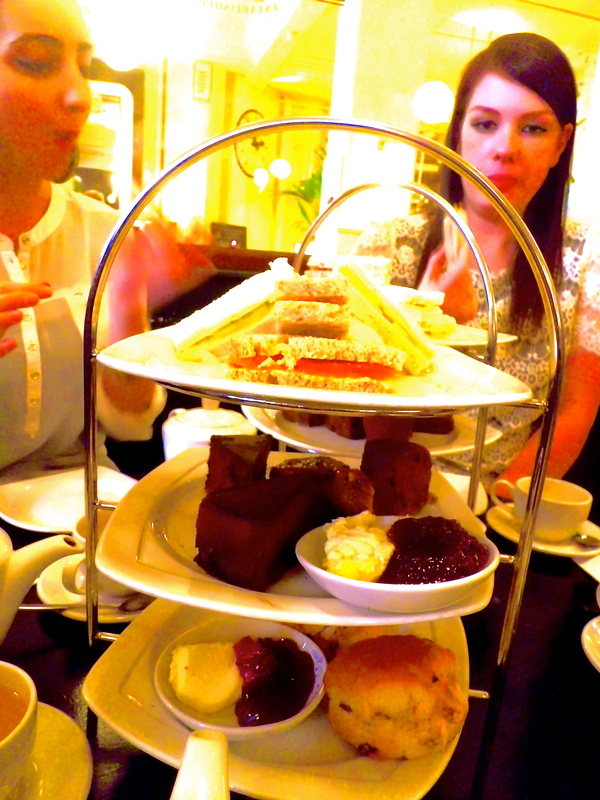 That is why I have decided to execute a short post on my Afternoon Tea at Brown’s, St Martin’s Lane, Covent Garden. The cake stand’s showstoppers are the decadent slices of chocolate cake made from a rich velvety mousse on a thin bed of moist chocolate sponge. And of course, the unfaltering scones are served, modestly on the bottom tier, with copious amounts of cream and jam. Also on the stand are sticky and satisfying slices of fruit cake and dainty smoked salmon and cucumber sandwiches. And all this is complimented with a constant flow of tea and exceptional service. For an updated and rather different outlook on this restaurant, visit my other post How to Eat Out.